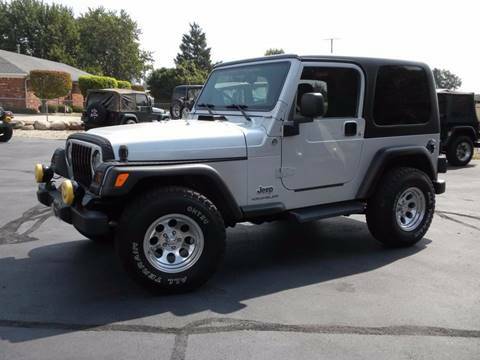 2005 Jeep "Willys Edition" 4wd, automatic, A/C, CD/soundbar/sub, full steel doors and sailcloth soft top, brand new tires, garage kept, serviced, car fax, no disappointments! 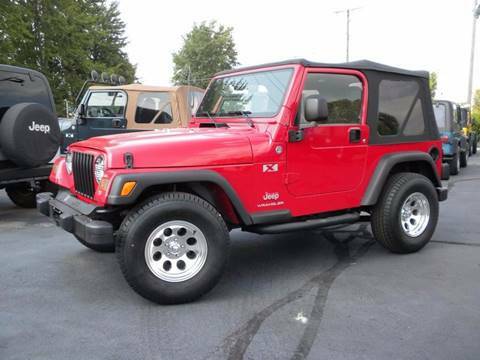 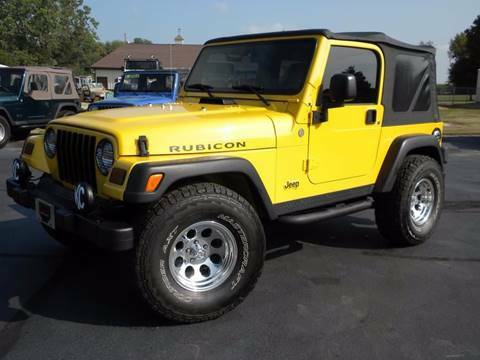 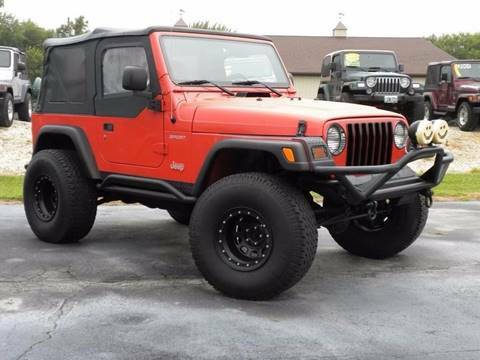 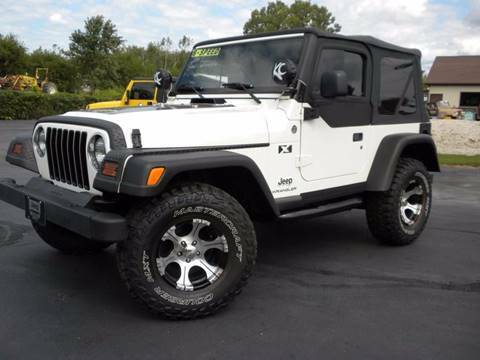 Jeep Wrangler, 4wd, 90k miles, 6 cylinder, 5 speed, cruise, A/C, CD/soundbar/sub, 2" lift, new wheels and tires. 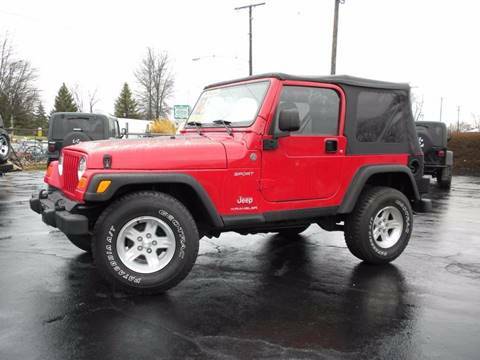 4wd, 6 speed manual, very rare optional half steel doors and soft top, CD/soundbar/sub, incredible garaged condition, car fax, serviced! 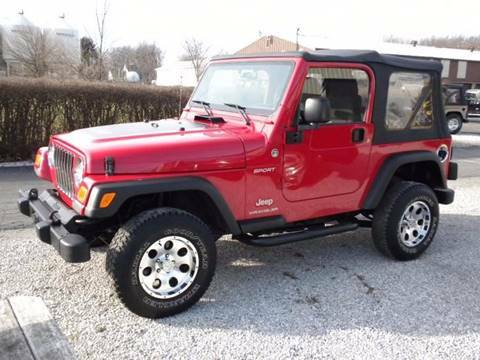 4wd, 54k actual miles, 4 cylinder, 5 speed, A/C, full steal doors and sail cloth top, red/graphite, brand new wheels and tires, serviced, no disappointments. 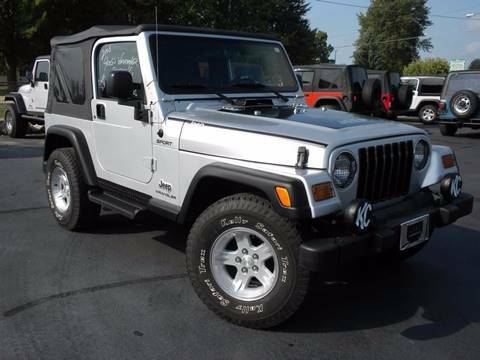 4wd,automatic, A/C, CD/soundbar/sub, full steel doors and soft top, aluminum wheels, none nicer, car fax, serviced! 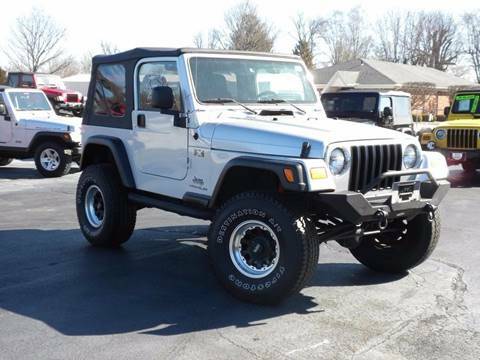 4wd, inline 6 cylinder, automatic, CD/soundbar/sub, A/C, full steel doors and sailcloth soft top, 3" lift, 5 aluminum wheels, serviced, excellent condition. 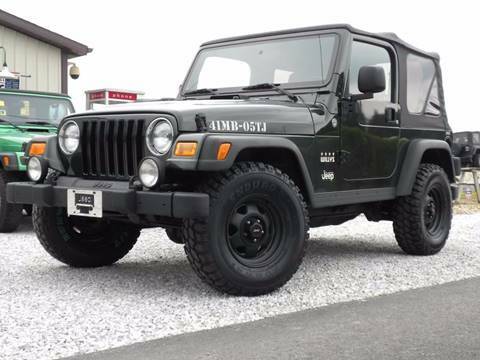 4wd, 67k actual miles, automatic, A/C, CD/soundbar/sub, 4 " lift, 33" tires, sailcloth soft top and half steel doors, extremely clean inside and out, car fax. 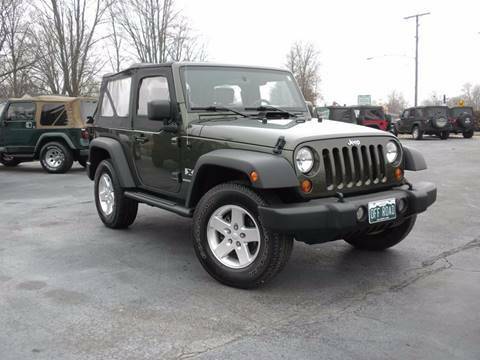 4wd, 29k actual miles, car fax, 6 cylinder, 6 speed, 6" lift, warn accessories, A/C, CD/soundbar/sub, serviced, runs and drives excellent! 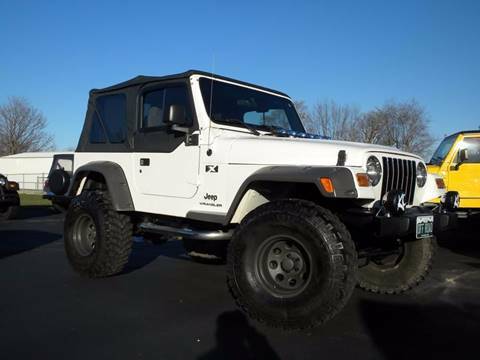 Automatic, full steel doors and sailcloth soft top, new tires, serviced, car fax, nice! 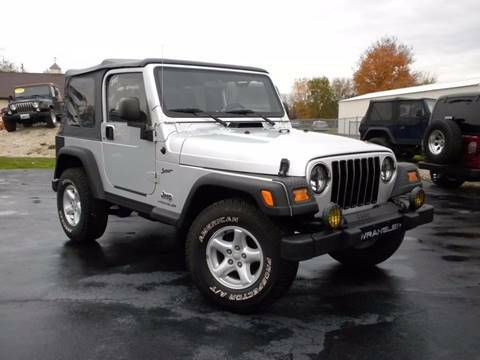 4wd, inline 6 cylinder, 6 speed, full steel doors and sailcloth soft top, A/C, CD/soundbar/sub, cruise, new tires and aluminum wheels, 77k actual miles, super nice inside and out, excellent car fax! 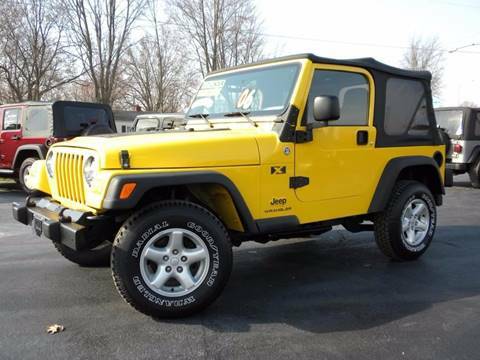 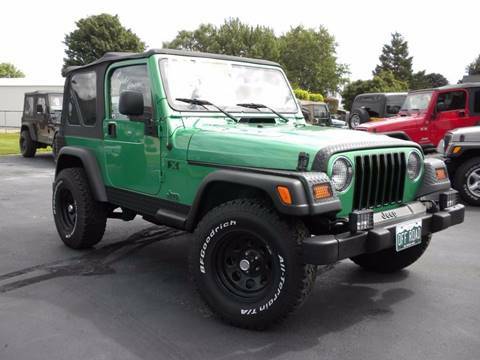 Jeep Wrangler X, 4wd, 6 cylinder, automatic, CD/soundbar, cruise, new tires, electric lime green.